Hello again, my dear tea friends! This week I’ve stepped off the first flush Darjeeling path for just a bit, in fact, completely off the caffeine path, and am enjoying an herbal infusion in my cup this morning. 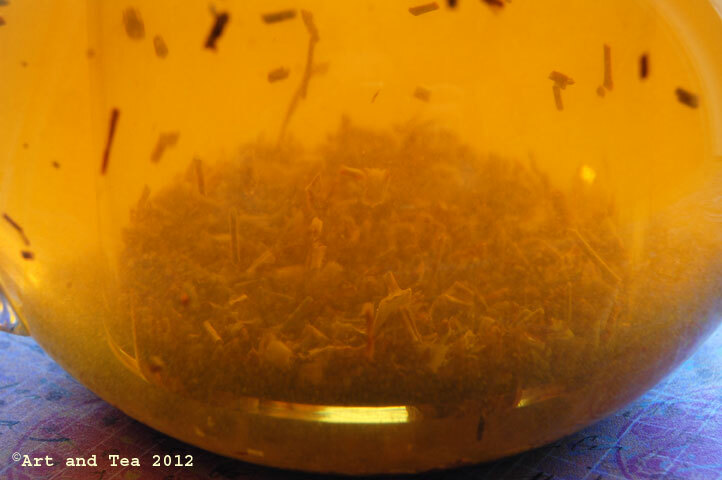 I’ve recently noted that it’s been awhile since I’ve shared an herbal with you and wanted to do that. This particular selection is an herbal which I have shared with you before, however, in iced tea form. Today I’m enjoying it prepared hot. Hello again South African Green Rooibos Superior Organic. 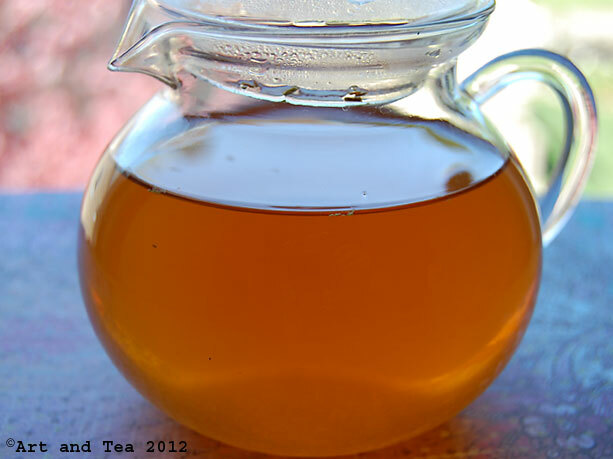 South African Rooibos is a bush grown in the Cedarberg mountain region of South Africa. The leaves are harvested and processed much like the tea plant, creating both “green” and “red” Rooibos. 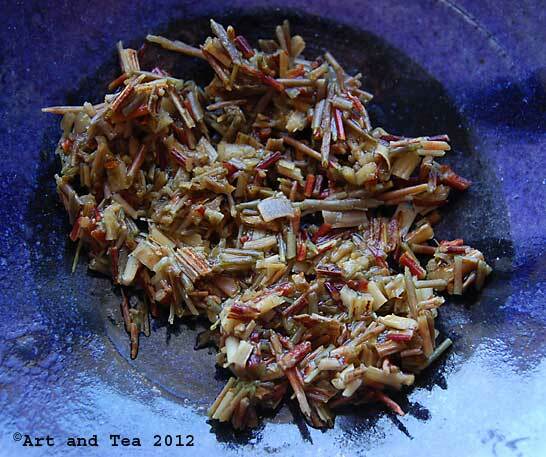 The Afrikaans word Rooibos means “red bush”. 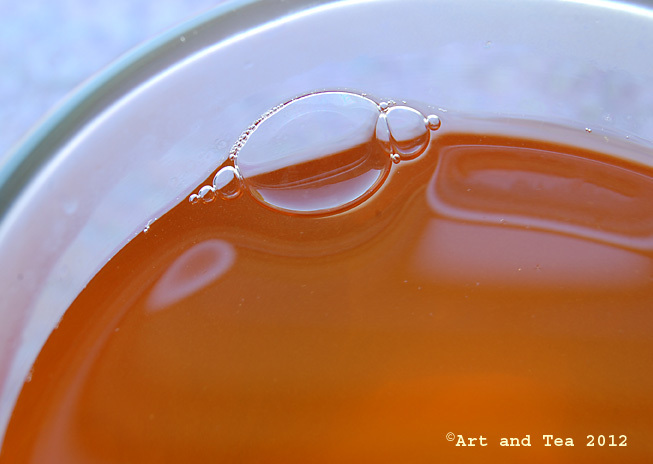 When the leaves are allowed to oxidize (similar to black tea), they turn a beautiful reddish brown. Left in an unoxidized state, the leaves are variegated flecks of light olive, yellow and brown. Even though it is “green”, you can steep it in boiling point water (212F). I steeped the leaves for 8 minutes. It’s very forgiving and doesn’t become bitter if left to steep too long. The wet leaf looks much like the dry leaf – small, chopped up needle-like pieces. The infusion steeps up to a beautiful amber. The aroma and flavor remind me of a very mild Ceylon black tea. Very smooth and sweet yet brisk and flavorful with hints of toast. This is a fabulous choice for those tea lovers looking for a caffeine-free infusion that tastes like tea. It’s not exact but the similarities are definitely there. As always, thanks for stopping by and have a wonderful week! 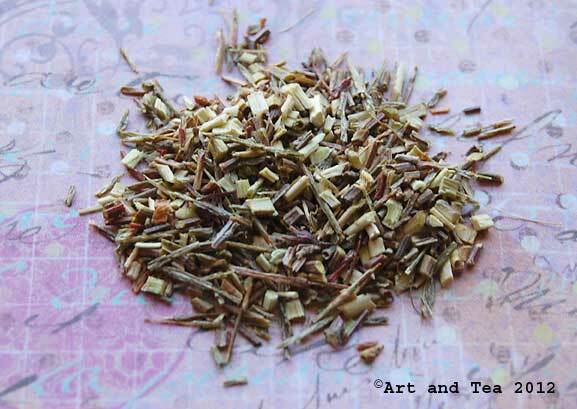 This entry was posted in Ceylon tea, Herbals, Photography and tagged Rooibos, South African Green Rooibos, South African Rooibos.